It’s a cold, grey January day in Glasgow. But you wouldn’t be able to tell that from the bright, buzzing Mazars office. Based in Queen Street, the firm haven’t been at their current location for too long, but they are already making big waves in the Payroll market – not just in Glasgow, but across the UK. Kindly taking time out their busy days, wherein they could be solving Payroll problems for one man bands up to multi-national organisations, John Cuthbert and Nicola Truesdale sat down with us over a coffee to give us some insight as to their career path to date. The colleagues find themselves working towards securing a further promotion within the Glasgow Payroll Management Team which, given their clear drive and enthusiasm, is no surprise. 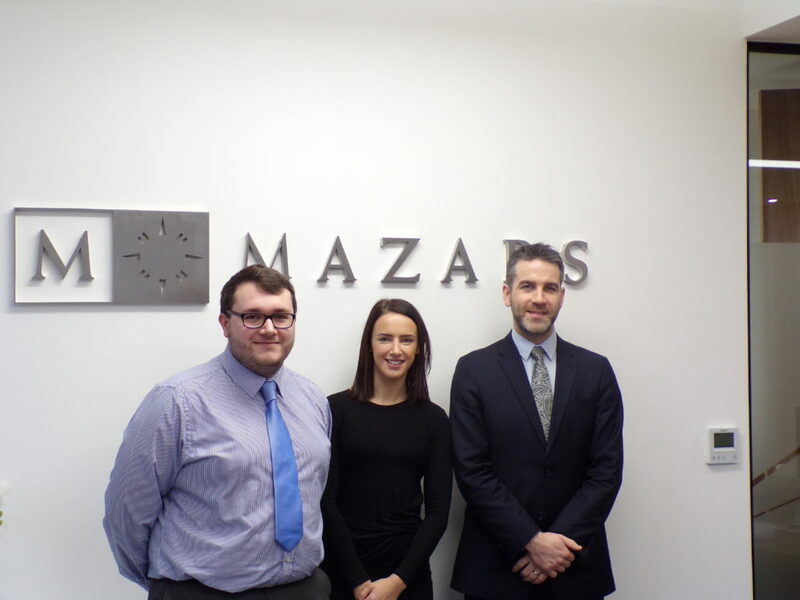 John explains: “I started off in Mazars in February 2014 as a trainee Payroll Assistant and very quickly managed to progress through the team. When I first started there was only three of us in the team and we were able to secure a lot of clients which enabled me to sink my teeth into more complex work and gain more exposure than I did at my previous role. Adding to this, Nicola says, “Prior to Mazars, I had been working in mentoring roles, but had never been given the title to match the responsibility. So, when Andy reached out to me, it was a clear step up and was exactly what I wanted. “There are lots of other elements that attracted me to Mazars. The office itself is stunning and modern, and in a great location. The team are very friendly, and the interview was very relaxing. I felt like the managers here understood my vision and I understood theirs. It just felt like everything was a good fit. The clear career progression was also an attractive opportunity. So, for candidates looking to make their way into bureau or, indeed, simply change firm, what are the newly-appointed management team looking for? Nicola agrees and adds, “The team is growing and there are lots of opportunities here. Our client base is increasing and there are lots of people here who want to develop their own careers. Glasgow is going to be a real flagship office for Mazars. Mazars currently offer the option to work towards a CIPP qualification for any employee who is interested in doing so, as well as the opportunities to source training on other subjects. “We’re not restricted to just Payroll tasks, there are lots of opportunities to become involved in different projects. This isn’t just about getting a promotion of personal progression, it’s about learning a wider scope of skills and dealing with a bigger client base,” says John. And so, what can the next generation of budding Payroll talent expect from the firm if they were to apply for a role to join the team? “When candidates come in to interview – say they have one to two years’ experience in Payroll – we have a straightforward process,” John explains. 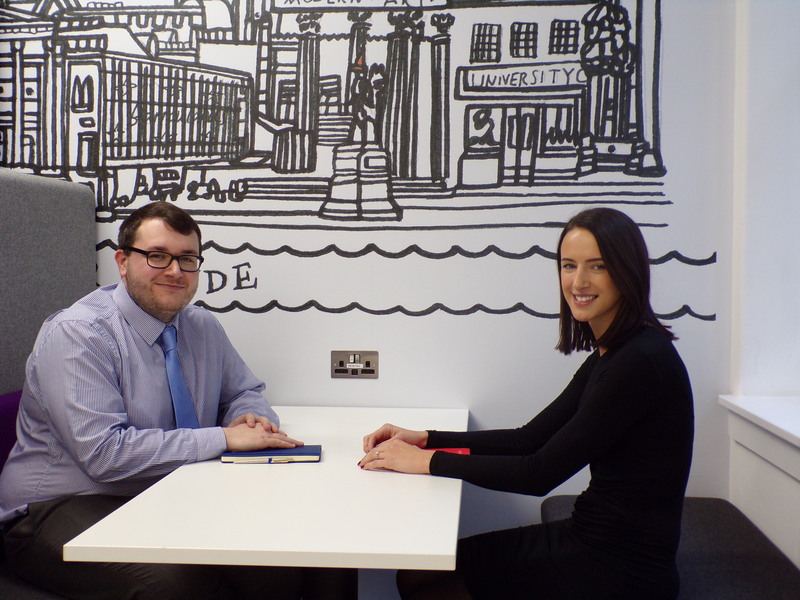 “Firstly, we like to start off just meeting the candidate on an informal basis. We like to put their mind and ease and get to know them – we understand that everyone gets stressed out going to interview. If we like them, and believe they will be a good fit for the team, and they like us, we invite them back. At that point, there’s a small exam, which is a mix of competency questions and legislation. Customer service skills are also at the heart of every successful Payroll candidate. Both Nicola and John agree that you’ll get to know which clients you can have a laugh and a casual conversation with and which clients prefer a more corporate veneer. Perhaps a thick skin is needed for dealing with such a wide variety of clients and their needs? 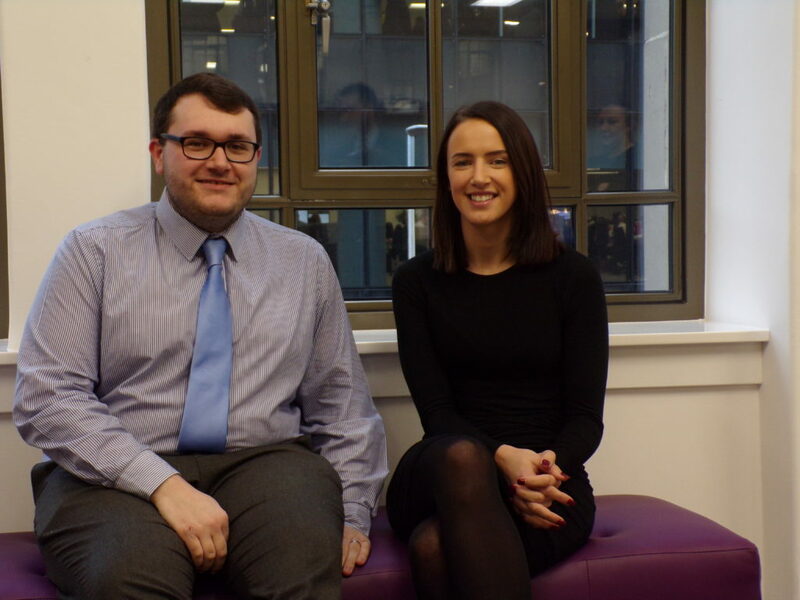 Whilst they both agree that the best thing about working at Mazars are the colleagues they have gained, John and Nicola understand that some candidates might have some hang ups about making a move. We have to let the bright young things of the Payroll department return to their busy desks, as their day is full of mentoring and supporting their team, as well as their clients. Before we make John put on a tie to have his photograph taken, he has one last pearl of wisdom: “I think for me, as a very career driven person, I’ve been able to see my own progress. Not just professionally, but personally too. If you would like to have a confidential chat about your career with our expert Payroll recruitment consultant, Andy Mitchell, click here to get in touch.